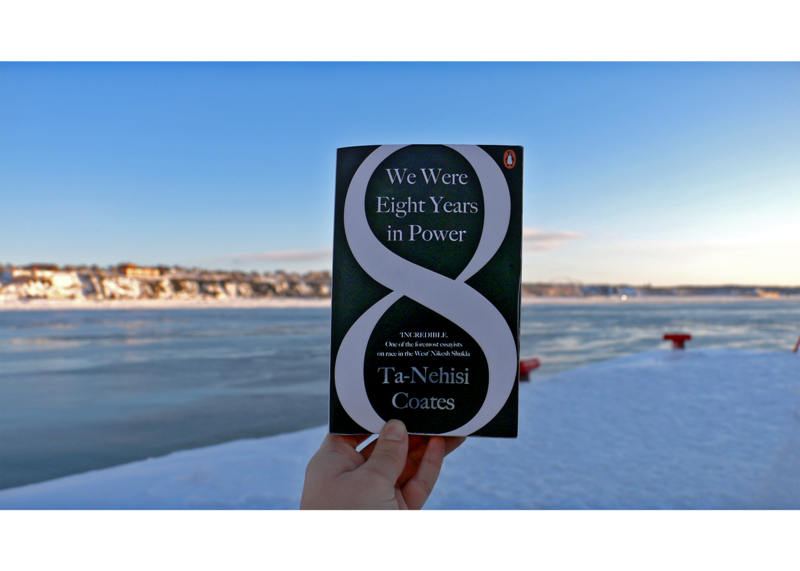 We Were Eight Years in Power is a collection of essays published in The Atlantic, coalesced to span the Obama Administration, interspersed with prologues to each. Besides the enjoyment of reading one’s writing improve over time (the best work is past the halfway point of the book), it’s a book that discerns the myths and realities of white supremacy and black struggle and offers profound pessimism – or realism – for the future of those structures. It is a puzzling position to be in, but not an unwarranted critique when Coates routinely explores the power of the black and white races. It is difficult to conceive of a plausible immediate future wherein white supremacy is eradicated, for the twin factors of Trump’s election and America’s historic enslavement of African-Americans simply outweigh other evidence. Yet, without hope, as Williams and West have suggested, the power of those same factors is entrenched further by the writer trying to fight it. Essentially, it boils down to the question of the purpose of black-specific commentary: is it to articulate and exist within the sphere of racial prejudice, or provide a platform for its banishment? It’s not for me, as a white man, to answer that question. But, being white, reading Coates’s work has illuminated areas of political thought hitherto unseen, for broadening the horizon of opinion one ingests – specifically the horizons of identity – can only ever lead to greater understanding, even if that understanding is to consolidate one’s pre-existing views. It is not as if I am suddenly aware that racism exists, but I do appreciate the role that whiteness played in Trump’s election to a greater extent. Coates’s lambasting of the media’s focus on the white working-class voting bloc is convincing; these white voters may feel left behind and feel angered by that, but black people have been subject to centuries of bodily plunder and psychological torture, and remain disproportionately downtrodden by the American political and economic systems, yet scores of coverage are never devoted to understanding and empathising with this pain as has been done for white people – nor have black people unleashed violent civil unrest against white people, despite the murder of black people at the hands of those who are not so. And the emphasis must be that they are white. Ultimately, there was only one voting bloc which produced a majority for Trump: the voting bloc of white Americans, be they rich or poor, man or woman. In spite of it all, Coates’s language remains ethereal, remains beautiful, remains mythic, and harnesses the power inherent in anger and sorrow. “Sentences should be supernatural,” Coates states, “words strung together until they compelled any listener to repeat them at odd hours.” The media has no shortage of opinion columnists, churning out half-baked polemics to advance their name and their platform. Coates at least acknowledges that Obama’s presidency has been advantageous to his career – as, perversely, has Trump’s – but there is little sense that Coates writes for himself and not for a greater purpose. We Were Eight Years in Power is clear that black power was time-limited, and perhaps will forever be, and knows that no cosmic justice is coming for those who sought to demolish it. “The warlords of history are still kicking our heads in, and no one, not our fathers, not our Gods, is coming to save us.” If America is to be saved, then it must save itself.